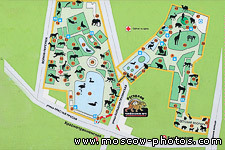 The Moscow Zoo is the very first Zoo in Russia. 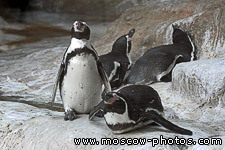 It was set up in 1864 by a Russian Imperial society of animals and plants acclimatization. 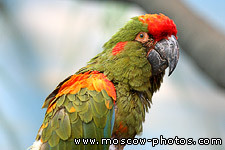 By the opening of the zoological garden (initially it was called like that) it counted around 80 species and 200 specimens of wild and more than 100 specimens of domestic animals. 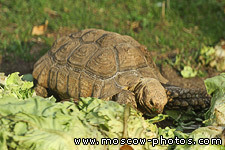 The Russian fauna was represented best of all – the creators of the garden wanted to demonstrate to spectators first of all our native nature. 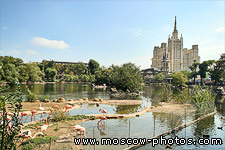 After the victory of the October revolution the zoological garden was nationalised (in 1919). Its territory became twice as big, collection of animals also grew, scientific departments, laboratories, veterinary centers were set up. 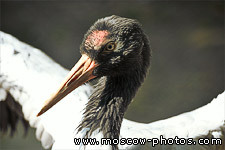 Zoological garden got the name of the Zoo. 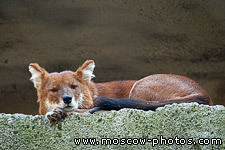 During the Great patriotic war, the Zoo continued its operation: between 1941 and 1945 more than 6 million people visited it. 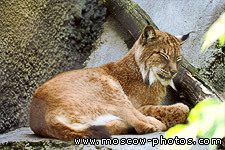 Nowadays, the Zoo occupies the territory of about 22 hectares (0.22 square kilometers or 54.4 acres) practically in the centre of the present Moscow. 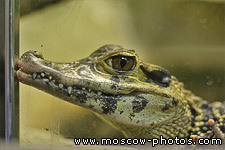 More than 1000 species and 6000 specimens of invertebrate and vertebrate animals live on that territory. 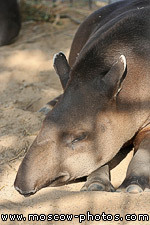 From the very beginning, while creating the Zoo one of the most important tasks was arrangement of education and enlightening work among the visitors. 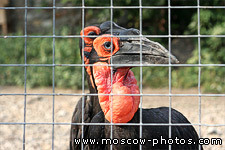 Classes for schoolchildren and various excursions for visitors are held in the Zoo. 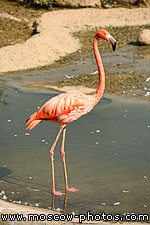 Their goal is to introduce to the variety of fauna, biology of separate species, problems of ecology and preservation of nature. 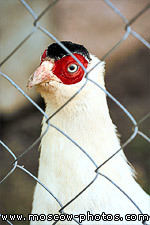 The Zoo participates in numerous international programs on keeping and breeding of rare species of animals, constantly exchanges animals with other Zoos of the world. 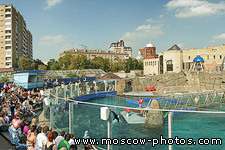 You need about 6 hours for a complete tour of the Zoo, including a visit to dolphinarium. 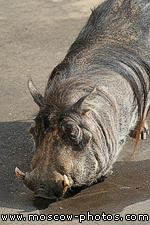 A number of small coffee and fast-food shops are available at your service at the territory of the Zoo. 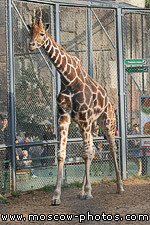 In summer the Zoo is open daily from 10.00 to 20.00, in winter – from 10.00 to 17.00 except for Mondays. 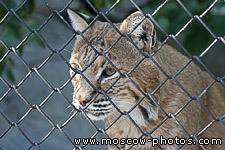 Ticket offices of the Main entrance and Children Zoo are closed one hour before the closing hours. 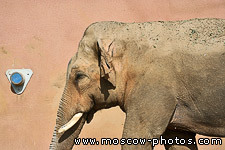 After closing of ticket offices the Zoo is open only for exit. 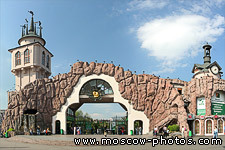 The cost of adult tickets is 150 roubles ($6), for children up to the age of 18 – free of charge. Taking pictures is free. 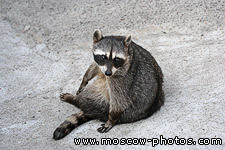 Video filming on amateur movie cameras – 25 roubles (1$). For professional filming you need to get a special permit from the administration. Barrikadnaya, Krasnopresnenskaya are the nearest metro stations. 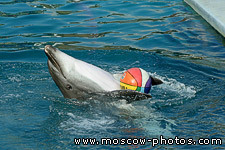 On the territory of the Zoo there is a dolphinarium. 4 to 6 performances are daily held there, approximately every hour or two. 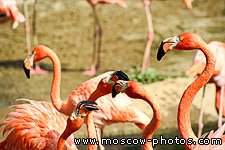 It is better to find out the exact timetable during the visit to the Zoo. 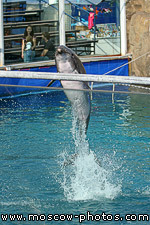 The ticket for a show with a dolphin, white whale and walrus costs 100 roubles ($4) and it can be purchased at the Main entrance ticket offices or near the dolphinarium. 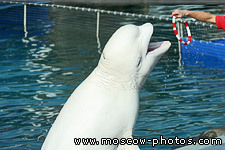 For an additional fee of 500-800 roubles ($20-32) one can take pictures with the performing animals after the performance. 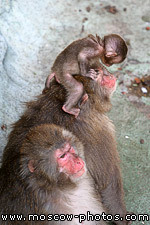 (The prices are given for summer of 2007). 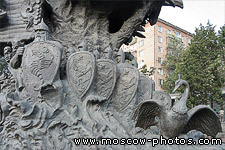 Zurab Tsereteli's sculpture "Tree of Fairy Tales"
33 Bogatyrya and Tsarevna Swan-Bird. 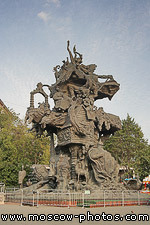 Fragment of Zurab Tsereteli's sculpture "Tree of Fairy Tales"